There are some sad moments throughtout the series. The one that pops out is the scene where he talks to Cas at the end of the "On the Head of a Pin", where he feels so broken after learning he broke the first seal. 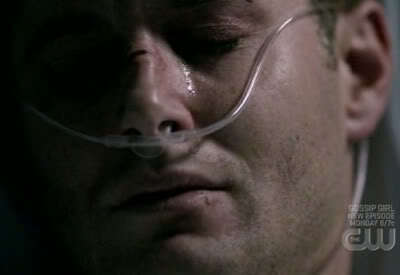 He tells Cas to find someone else to end it as he doesn't feel strong enough. Oh my heart! This was so sad!